Supporters of the District tout it as one of Scottsdale’s most significant economic engines, a major employment center and generator of local sales tax revenues. Some Candidates echo this message, although their enthusiasm often simply mirrors the source of their campaign contributions. Recently, citizen mailboxes were stuffed with a postcard that extolled the virtues of “Downtown Scottsdale…one of our most significant economic engines.” Most of the quoted statistics were from a 2012 study commissioned by the BACIC (Beverage Alcohol Community Information Council.) Hhmmm…? Some of the controversy over this area was fueled in late 2011, when I was your City Treasurer. A cost-benefit study on the Entertainment District I prepared concluded; “The bars in the entertainment district provide incremental revenue of $400,000, but the incremental costs of public safety amount to $1,200,000.” Within months, supporters of the Entertainment District commissioned the BACIC study that concluded, not surprisingly, the economic benefits were multiples more than my 2011 study. 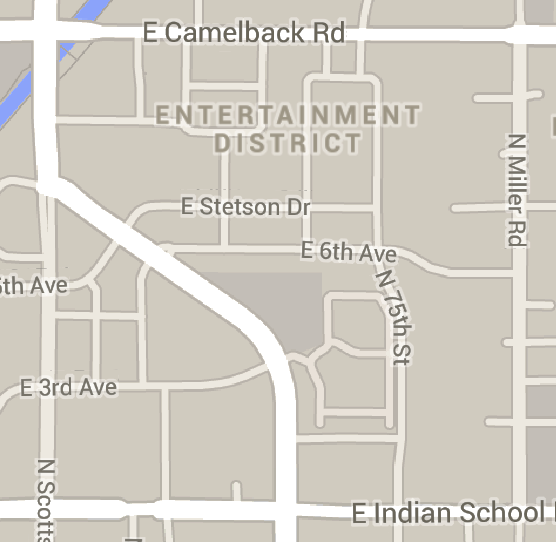 Google Maps™: The District is bounded by Scottsdale Road, 75th Street, Camelback and Indian School. 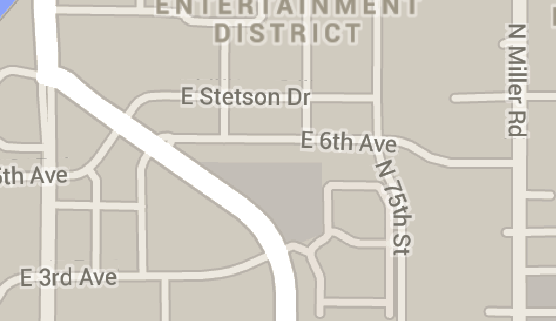 It is the most concentrated bar area in Maricopa County, if not the State. Citizens envision a city known for tourism. In reality, the visitors to this district are not tourists who spend money at hotels, fine restaurants, shops in Old Town Scottsdale or Fashion Square. Citizens envision capturing good paying jobs to improve economic prosperity. This industry’s $23,000 salary is less than half the City’s 2007 per capital income of $49,158. Citizens envision a city known for its arts and culture. One recently expanded bar boasts it can accommodate 1,000 patrons…more than the 800-seat capacity of our Performing Arts Center. Citizens envision a safe community. The Entertainment District requires an enormous dedication of public safety personnel to protect themselves, as well as citizens and visitors. Citizens envision a high quality of life. Behaviors in the Entertainment District have made it necessary to pass an ordinance against public urination and defecation. In Scottsdale! When a bar seeks special treatment, they should answer, “What will your business do for the citizens of Scottsdale?” When we grant a Conditional Use Permit (CUP) to a bar, it should be truly conditional. If bars incur incremental costs, they should not expect citizens to provide them a public subsidy. You expect your Council will pursue visions of Scottsdale citizens and insure your tax dollars are spent wisely. I am committed to this and ask for your support in the upcoming Council election.